Using Mighty Leap after blockers have been declared. If you want to work with your commander, there are a lot of ways to damage yourself. Notably on the land side of things: Grand Coliseum and Nomad Stadium are good budget options. Benalish Marshal from Dominaria would probably be a good addition here as well. You might want to grab a Crusade and Celestial Crusader while you're at it. Kindred Boon is a pretty sweet mono-white card for tribal decks. 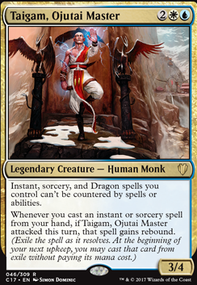 If you need help cutting cards, I feel like Sunlance, Soul Parry, Pacifism, Mortal's Ardor, Mighty Leap, and Dauntless Onslaught are the weakest cards here at the moment. I would add more cards like Stave Off or Mighty Leap in order to allow your Immolating Souleater to be able to attack for lethal, or any substitute for those cards. I appreciate your comments and would like more advice. Since I just started, I mostly have one-offs, but I will be ordering some more cards soon. The initial way I wanted to take this deck was to add 4 Legion Lieutenant and 4 Call to the Feast cards to make a vampire tribal deck and compound the lifelink vampire tokens with Epicure of Blood and Regal Bloodlord (after sacrificing Elenda, the Dusk Rose). However, I like the control(?) cards like Murder and Seal Away and being able to accelerate(?) through my deck with cards like Militia Bugler and Deadeye Tracker, so your deck improvements and synergy suggestions really help. For a vampire tribal deck, what other cards would you recommend? 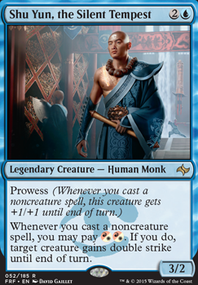 If I were to change to your creature base, what other non-creature spells should I include? 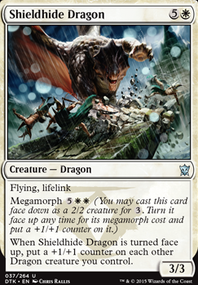 Would they mostly be exile/destroy target creature, or should I add cards like Mighty Leap? Does Deadeye Tracker work in both decks? What counters would I need to consider if I wanted to make a sideboard for both decks? Maybe Honor of the Pure instead of Always Watching and also I just want to know what you are running Mighty Leap for? Good suggestion, but as far as creatures are concerned, I only want to use Kor in this build. Makindi Aeronaut pairs well with Bonesplitter and the other two evasion equipments. Mighty Leap can be used to confuse the opponent into blocking as well. Glint Hawk requires returning an artifact to my hand as it enters the battlefield. I need the artifacts on the field as quickly and permanently as possible. Thank you for your input, but I must reject Glint Hawk from joining this Kor deck. OK, now I think I can start to give you some proper feedback. I would take out Baffling End for two Fatal Push. I would replace Mastermind's Acquisition with two Vraska's Contempt. 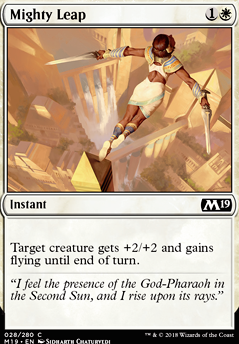 The Mighty Leap I would swap for an extra Fatal Push, and Vraska's Contempt, and two Fumigate. Night Market Lookout gives the best value when you tap it to Crew a Vehicle. It can Crew Aethersphere Harvester on it's own, so I would think about adding some of those. 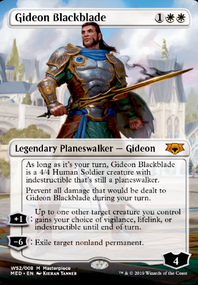 Your 3CMC slot is quite empty, and your 2CMC slot is quite full, so I'd take out 2-3x Gifted Aetherborn (Deathtouch Creatures usually aren't as great as you think they will be), and put Aethersphere Harvesters in those slots. You don't really have any heavy hitters. Something like Tetzimoc, Primal Death is worth finding a place for. Enemyinsid3 on Kitchen table deck help? this is the deck I need help with.I just wanna make it better. It was loosely based on managorger hydra back in Origins. You can't win the game just because you have a lot of life (caveat: unless your deck is designed to do that, e.g. Test of Endurance). This means cards like Angel of Mercy and Angel's Mercy are just "delay" cards - they'll keep you from dying for a turn, but nothing else. You need to be able to win otherwise. That's not to say lifegain is bad (Ajani's Pridemate would eat me if i tried), but lifegain for the sake of lifegain is insufficient. Walls are good only if your deck is designed to be strong in lategame. Otherwise they are bad. It took me a long time to learn that. They can't attack, generally don't have any abilities that can win the game, and generally don't even prevent you being attacked (walls like Souls of the Faultless are an exception). Blocking a creature without killing it means it will just swing at you again next turn, and next turn it might have a friend, and now you can only block one of them. So unless the deck is designed to be strong late-game, you can generally replace walls with anything else and be equivalent or better-off. Card synergies are important. 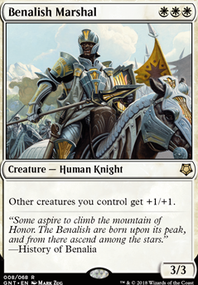 For example, you have Wingsteed Rider, but there are only two cards in the entire deck that will actually trigger his Heroic ability: Mighty Leap and Marked by Honor. Now, the base creature isn't bad (2/2 flying for 3 is decent/average), so i'm not saying take him out. Just, keep it in mind. Whenever you see a card, try to look for or think of interesting interactions. Since you're new, there are a ton of cards you're unaware of, and it's hard to keep everything in mind. For example, Enchanted Evening + War Priest of Thune (if everything is an enchantment, he can kill anything) or Angel's Mercy + Sanguine Bond (you gain 7 life and they lose 7 life). Some cards are the same as other cards, but one is just straight-up worse than the other. I can't really think of any examples using your cards, so i'll use these instead: Open Fire is strictly worse than Lightning Strike (3 CMC vs 2), which is itself strictly worse than Lightning Bolt (2 CMC vs 1). And it's not "old cards are worse than new cards", because Open Fire was just created/released, whereas Lightning Strike has been released several times. Just something to keep in mind. Closest example I can think of using your cards aren't straight comparisons, e.g. Angel of Mercy vs Serra Angel.